Pretty similar to most of the gunfighting games nowadays. 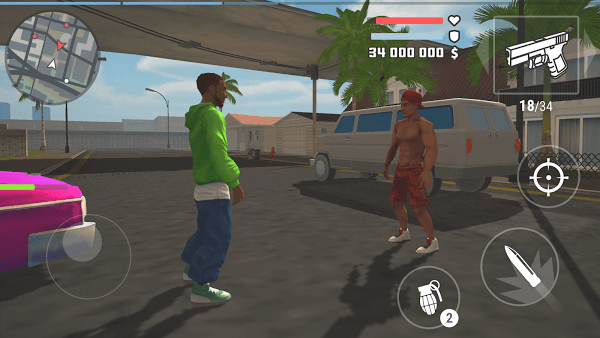 The Grand Wars: San Andreas is also a fighting game of the San Andreas city of car thieves and police officers against these criminals. Currently, the game version just released a short time but made a good impression and attracted the interest of many players, especially the fans of the game with guns. So what makes this game so successful? Let’s find out about The Grand Wars. The original scene simulator was only our side – the object usually fighting to get money and cars. And an opponent will appear in seconds later. When the opponent is defeated, then more and more opponents appear. The shooting requires the players not only to be able to observe well, aiming for accurate targets but also must protect themselves during combat. That is the basic requirements of gamers when joining The Grand Wars. Equivalent to each player’s combat ability, level constantly upgrading. In addition, gamers can move to more areas to make it easier to act because once space is expanded the risk of being shot increases. Therefore, make good use of all available hide areas in the most effective way possible. Endless space for action against the police such as hitting and running, auto stealing, even the police and more. Detailed graphics, meticulously simulating the cars and real locations in the most accurate way. In addition, the user can also play a game that is Third person gameplay. 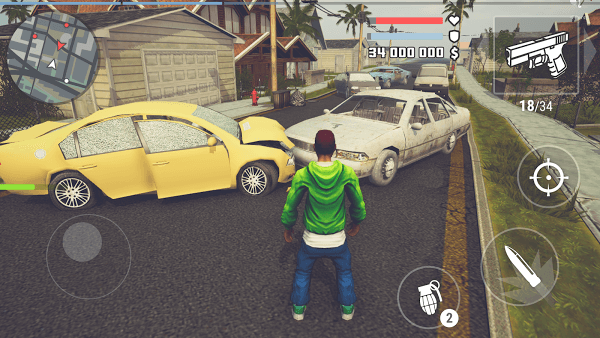 The main task of the player in this game is similar to the game is to steal the car and beat the opponent. Then the car that you get will belong to you. Then upgrade to the next feature is to change the outfit. When you have money, shopping and creating templates for gamers in the game is also a necessity. Players can choose any costume that you like, of course, will also depend on the amount of money you have because of more than 10 categories of accessories. Improved levels, real-time and combat abilities of players. Here are some basic information about The Grand Wars: San Andreas. 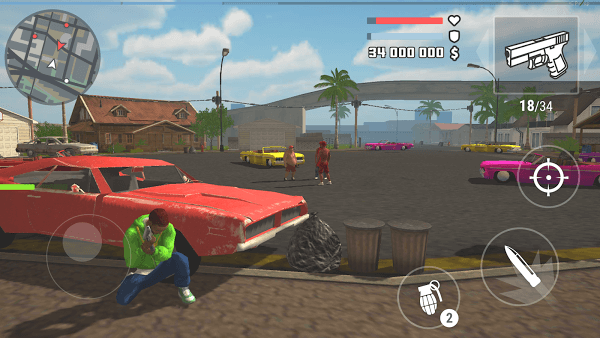 Only with the touchscreen phone can you try to become a character to become the king of car thieves and then experience the feeling of using the gun comfortably. Do not worry, it will not hurt, but try to feel like some hero is going to battle. The release of the phone version is also a new step for players to access the game more easily. Enjoy! !